In a shocking development, Electronic Arts has confirmed that it will publish a new addition to the popular Sims franchise. In case there's any confusion about it, the "shocking" remark above is actually ironic, because there's nothing shocking about it at all. The Sims is one of EA's biggest and most popular franchises and while it's not something that most of us think about on a regular basis, the surprise would be if EA gave it a Medal of Honor - and not the good kind but the figurative one, in which Peter Moore hangs his head in shame and hopes we all quickly forget that it ever happened. "The Sims franchise is fueled by the passion and creativity of its millions of fans around the world," EA announced earlier today. "Your continued devotion to the franchise ignites the fire of creativity of the team at The Sims Studio, driving them to continually improve and innovate on one of the world's most successful simulation games that has sold more than 150 million copies worldwide." EA said in a "VIP Announcement Call" that more than 100 people are currently working on the game, including many veterans from previous Sims titles, and that the focus this time around, driven by advancements in technology, will be "on the complexity of Sim to Sim interactions and they way your Sims behave." The caller also promised a big Sims-related event later this summer, saying fans "might want to keep the third week of August open." And to answer the question on everyone's mids, EA confirmed with IGN that The Sims 4 will support "single-player and offline" play. 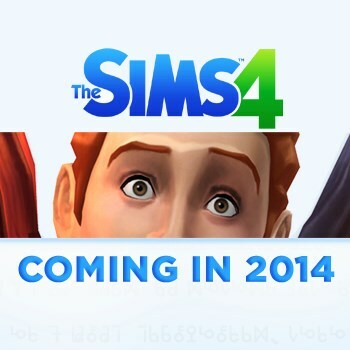 There's not much to see at the moment but you can sign up to stay on top of The Sims 4 situation at thesims.com.